ETC’s ColorSource Spot Pearls lit this year’s Lotus Make-Up India Fashion Week (LMIFW) in Delhi, India. 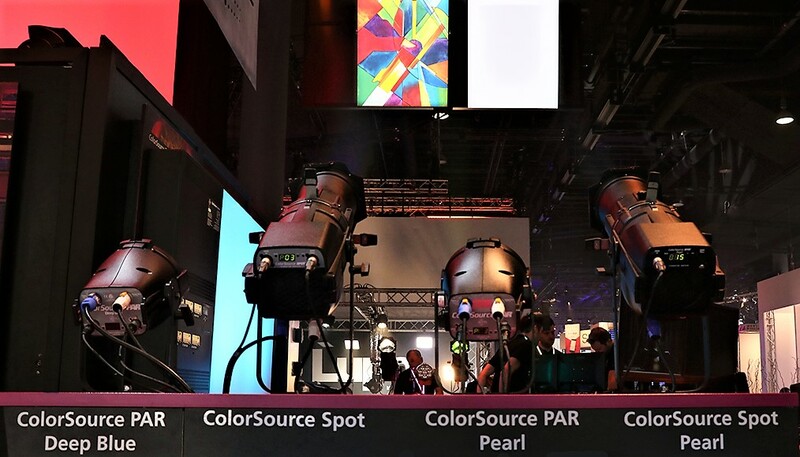 The ColorSource Spots with Pearl LED array brought an impressive feature set, with bright tunable white output and simple user interface, and were perfectly designed for this installation where white light was vital on the catwalk. 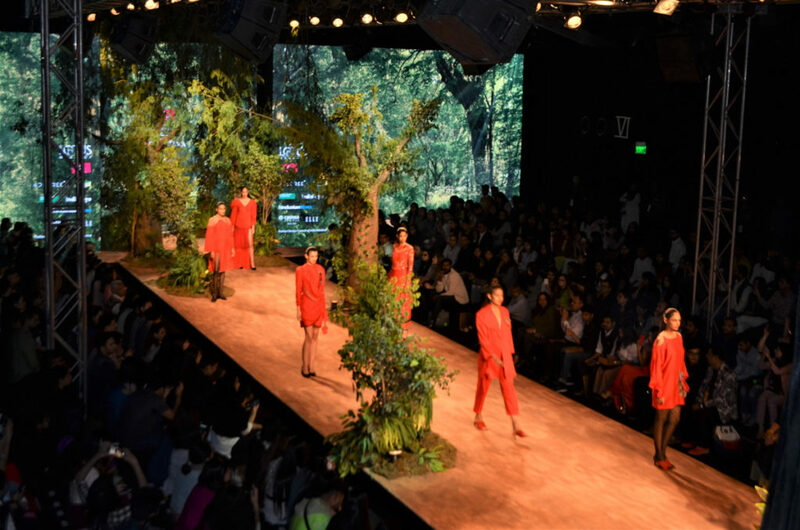 The fixtures lit signature autumn and winter fashion collections for 2019 at the event which was organized by the Fashion Design Council of India. The Flexidome 8000i cameras are available in three different models: the HD 1080p, 6 megapixel and the 4K ultra HD resolution. 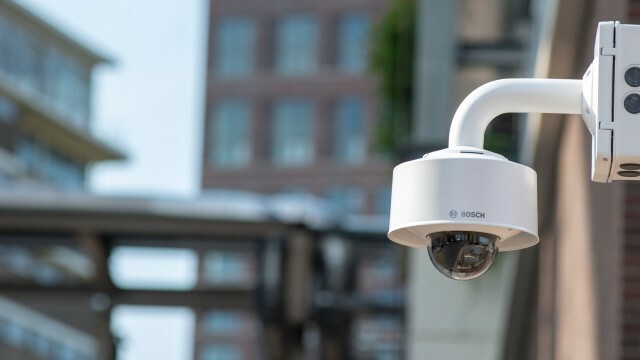 The 800i series can be commissioned wirelessly and features built-in Intelligent Video analytics with camera trainer functionality, allowing users to customise video analytics to detect objects or situations defined by the user, able to be combined with existing predetermined alarm rules and object filters of Bosch’s Intelligent Video Analytics. 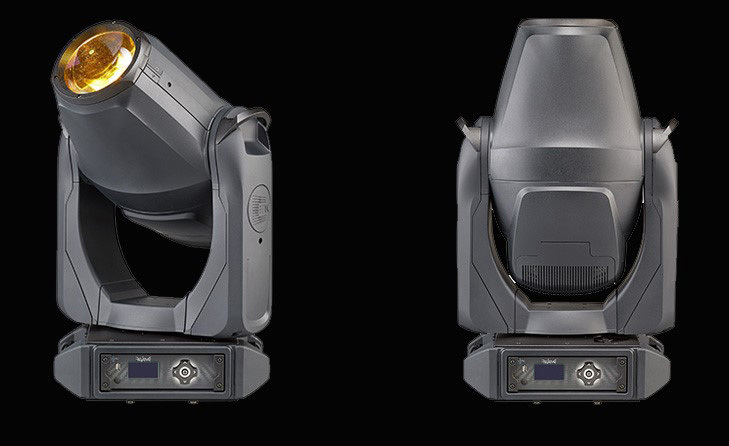 The cameras include Bosch’s starlight technology built-in and allows fast moving objects to be captured with frame rates of up to 60fps, with HDR of up to 134 dB. The cameras also have a water resistance of IP66, vandal resistance of IK10+ and an operating temperature range of -50 degrees to 60 degrees Celsius. 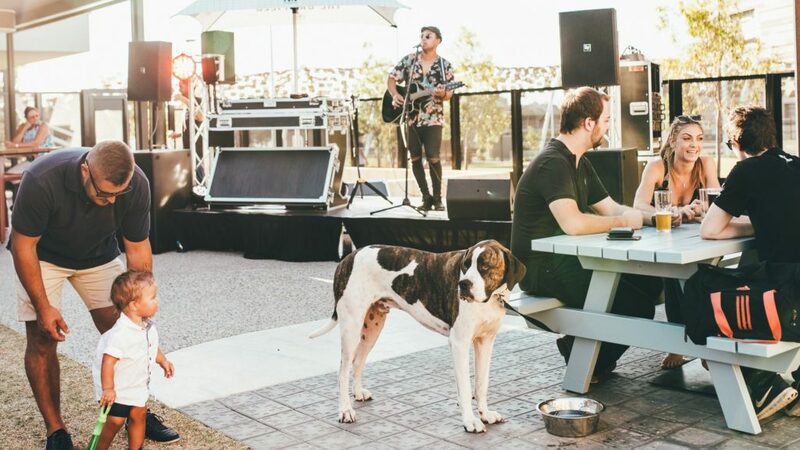 Nestled by the Swan River and right in front of Perth’s new $1.5 billion Optus Stadium, The Camfield boasts an impressive set of numbers: 9000 square metres, 3,000 person capacity, 2 km from CBD, 300 kegs of beer delivered every week, 125 kegs of beer made in-house, 80 m long bar, 175 beer taps, and 180 staff on an average night. Then there’s 96 Electro-Voice loudspeakers and amplifiers used to provide sound for functions, ambience and pure raw entertainment, whether it’s a game coverage or live music in its spacious beer-garden. The pub is extremely spacious, and welcoming at the same time. It caters for a wide variety of patrons and uses: from the sports fan visiting next door, to workers popping in for lunch or an after work drink, through to meals with friends and family, or corporate events of all shapes and sizes. Not only does The Camfield provide the suitable spaces, extensive menus and a wide selection of beverages (including in-house micro-brewery products) for a wide variety of patrons, it also features the professional audio system required for a venue this size. The bright and tasteful bistro space caters to reservations, walk in guests and small to large functions. The combination of bar, dining and lounge style seating offers an ideal space for meeting up with friends and family or networking with clients. Electro-Voice’s EVID-S, the latest award winning commercial installation loudspeakers, provide background music in this space. EVID-S offers impressive performance, faster and easier installation, and great value for money. Due to the expansive area and changing volume in chatter from varying numbers of patrons, EVID-S loudspeakers are reinforced with Electro-Voice EKX passive subwoofers, to extend the frequency response of the system at all volumes. There are a number of terraces with spectacular views of either the Swan River, Optus Stadium or the Beer Garden. Perfect for cocktail events, or just for chilling out, the spaces combine both high and low seating. Industry staples, the Electro-Voice EVID ceiling speakers are used across the terraces. Designed with both the contractor and the listener in mind, EVID ceiling speakers are aesthetically pleasing and sonically proven to provide exceptional sound for patrons. Corners of buildings feature ZX5 loudspeakers that easily fill the outdoor spaces with music. The Beer Garden is at the heart of the venue. The space has access to the Main Bar, Garden Bar and the Container Bar with roof-top seating. The space has a huge, custom-built screen surrounded by an arrangement of high and low seating, as well as beanbags. Across the outdoor spaces a full-range of high performance Electro-Voice ZX5 loudspeakers provide sound for the big screen as well as outdoor entertainment. The ZX5 is lightweight and combines audio performance, with versatility, aesthetics and a tremendous output capability. ZX5 loudspeakers are known in the industry for their installation versatility, durability and high-spec performance. They deliver 600 W power continuously (2400 W peak), produce a maximum SPL of 132 dB and have a very smooth frequency response. Every amplifier used to drive the loudspeakers at the Camfield comes from the Electro-Voice CPS range. Engineered in Germany, the CPS 2 and 4 channel amplifiers are industry workhorses known for their reliability and value for money. The 2 channel models drive the low-impedance ZX5 loudspeakers while the 4 channel models drive the EVID-S 100 V line loudspeakers. The Christian Reformed Church was established in Sydney’s leafy Sutherland Shire in 1960 and is one of 45 Reformed Church congregations across Australia. Following three location changes the current church building was completed in 1991, in the suburb of Barden Ridge, and serves an average service attendance of 250-300 parishioners. The first loudspeakers installed in the new church were only good enough for speech and were not used for the amplification of the band. Few years later, Matthew James, the sound specialist at the church, sourced a pair of the ever-reliable Electro-Voice SX-100 speakers from Bava’s Music. When asked how Matthew got introduced to EV audio gear he replied: “I’ve always been interested in sound and speakers and used to build my own speakers using the “loudspeaker design cookbook”. I soon learned that to get the most natural best sound it takes years of testing drivers, crossovers and cabinet design, something that is impo ssible to do in the garage on a very limited budget! 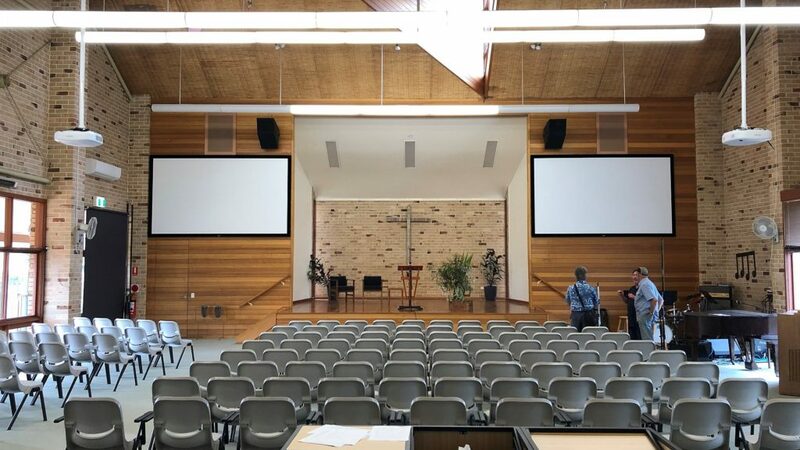 Apart from the church band screaming for a new system, the second major reason for a new audio system, was the introduction of two new projectors and projector screens. The SX-100 loudspeakers were in the way. Hence, Matthew James started researching which Electro-Voice loudspeakers might suit a church if this size and provide quality sound, even coverage and value for money. He came across the Vari-Intense model and sought advice from Bava’s Music and subsequently Electro-Voice product specialists who confirmed the choice was very suitable. With the main floor of the church being 18 m long x 14 m wide, and ceiling height of 7 m or more, it made sense to use the EVCVari-Intense loudspeakers. As they are hung at just over 6 m, the unique driver, horn and waveguide combinations allows the EVC-1122-VI loudspeaker to throw and cover evenly across an area of 3 times their height position to the front, and 2 times their height to each side. This meant that just two of these would suffice to deliver quality sound across the entire floor. The advantage of the VI approach is that there is reduced variation in sound level from the front to the back of the audience, compared to typical point source solutions. The high frequency section of the EVC 1122/VI loudspeaker comprises a single 1¼-inch pure titanium dome compression driver directly coupled to a compound waveguide that combines long-throw and short-throw behaviour in a single acoustical device. This unique waveguide creates uniform pattern control and smooth, linear response. Dynacord’s L2800 amplifier was chosen to power the Vari-Intense loudspeakers. With 1400 W per channel at 4 ohms, the amplifier is more than capable driving the 300 W continuous (1200 W peak) Vari-Intense loudspeakers. The L Series amplifiers are engineered for demanding live music applications. 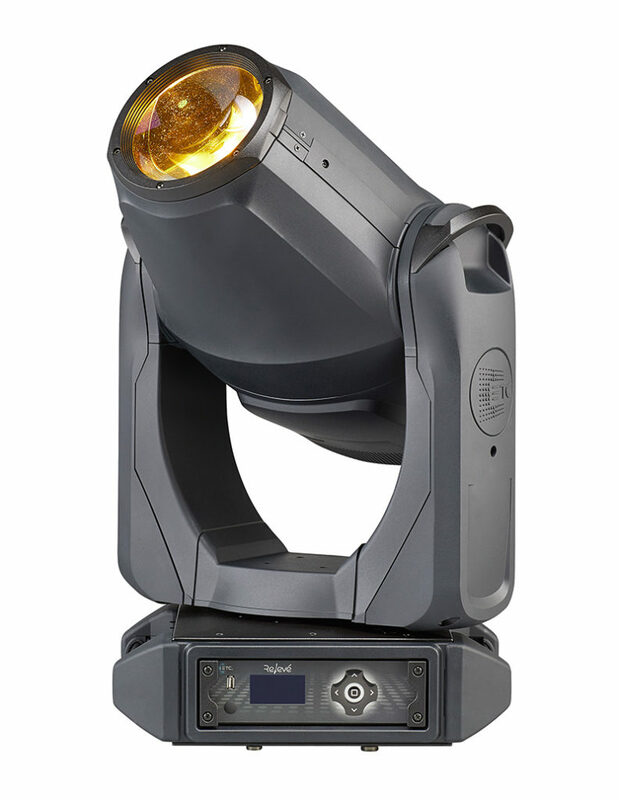 They are ideal for live performances in venues such as houses of worship, sports venues, school auditoriums and clubs. The L Series power amplifiers comprise a best-in-class, tour-grade feature set that brings real professional performance to a new price point. Their high-quality components and professional processing power and performance characteristics enable exceptional sound quality with plenty of headroom. An on-board DSP includes multi-band PEQs, crossovers, limiters, and delay per channel. It also has true channel grouping control with extra DSP capabilities like PEQ, GEQ and delay for each group. The amplifier is also equipped with advanced FIR-Drive, a premium feature normally reserved for the highest quality tour-grade DSPs. It optimizes original factory loudspeaker settings, yielding a level of performance unheard of at this price point. Due to these reasons no additional DSP unit was required for this project. An Electro-Voice PolarChoice lectern microphone was chosen for the spoken audio. PolarChoice is apremium lectern microphone that is very flexible in terms of pick-up patterns. The user can select between omni, cardioid, supercardioid or hypercardioid patterns. The microphone is designed to provide a smooth and uniform frequency response, no matter what pattern is selected. An extended low frequency response and switchable high-pass filter can be utilised. The band, featuring 3 vocalists, keyboard/organ/piano player, drummer, bass and guitar players, use three EV ZLX-12P powered loudspeakers as monitors. An EKX-15SP powered subwoofer for supplements the monitors and FOH speakers. Located in Aptos, CA, Twin Lakes Church is a large faith community, offering three contemporary Christian services per week in a sanctuary seating about 1750. 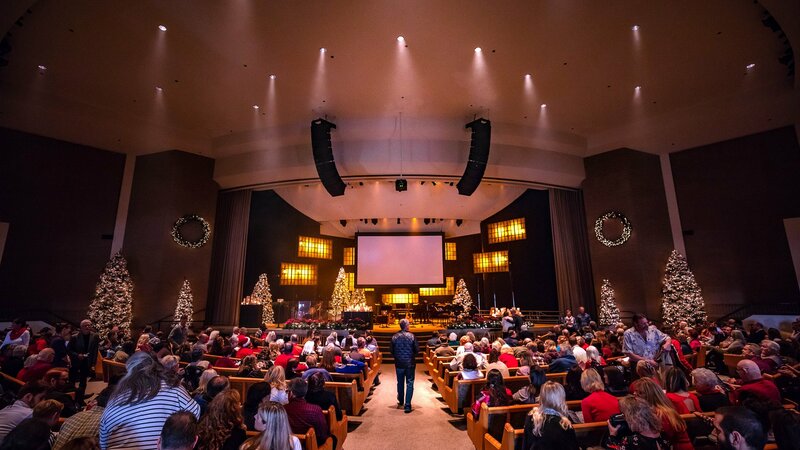 The church relies largely on the expertise among its 5000 members to drive its technical ministry, an approach that bore fruit in the selection and installation of a new premium audio system. The team chose Electro-Voice X-Line Advance X2 line array loudspeakers, powered by the latest in amplifier technology – the Dynacord IPX series. In 2017, one of the most prestigious venues in France, the Opéra Garnier, updated its lighting consoles to a selection of ETC Eos desks. The Eos consoles were unanimously chosen by Jacques Giovanangeli, the head of the lighting department, and his team of 42 lighting professionals. The previous console lacked the technological capabilities required for modern moving lights, and needed replacing to keep up with the venue’s demands. Fully aware of this, Jacques and his team began research to identify the best option and narrowed the search down to three potential consoles and conducted demos of each. They compared the different interfaces by paying attention to the ergonomics of programming a show, the ease of use of moving lights, and the precision of color control. 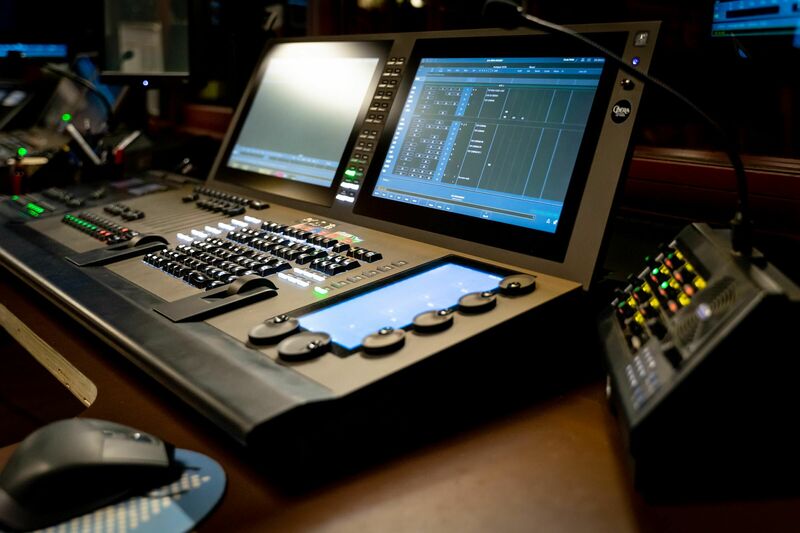 ”Co-productions continue to increase between the major opera houses and many lighting engineers work mainly on Eos consoles. With Eos, we can anticipate what’s coming by sharing files,” comments Giovanangeli. In total, four Eos family consoles joined the Palais Garnier with three Eos Ti desks, two in the control room and one in the workshop. A Gio @5 is also on stage if an engineer would like to operate lighting from the stage. The whole system communicates in ETCNet3 (ACN) and the main console controls all the fixtures over sACN. To complete the installation, 2 RVIs (Remote Video Interface) are also available from the stage. This RVI system enables remote viewing of the console screens and local programming of the Eos system. This allows the opera house to offer the production manager a tool to view the desk’s displays from the stage making interactions with the lighting technicians easier. A training program made the transition smooth for the entire lighting staff. The teams were able to get gradually accustomed to the new interface before putting on the first show and tackle the 860 dimmers with more than 100 moving lights. In an effort to continuously improve training efforts, ETC France is currently revamping its training program to better serve its end users. The new ETC subsidiary will improve the provision of trainings through its network of partners. Over the past few months, many French venues have also chosen Eos consoles, such as the Opéra de Bordeaux (Dushow installation) and the Opéra de Versailles. ETC offers consoles appropriate for the theatre market with the Eos system and the touring market with the High End Systems Hog 4 range. 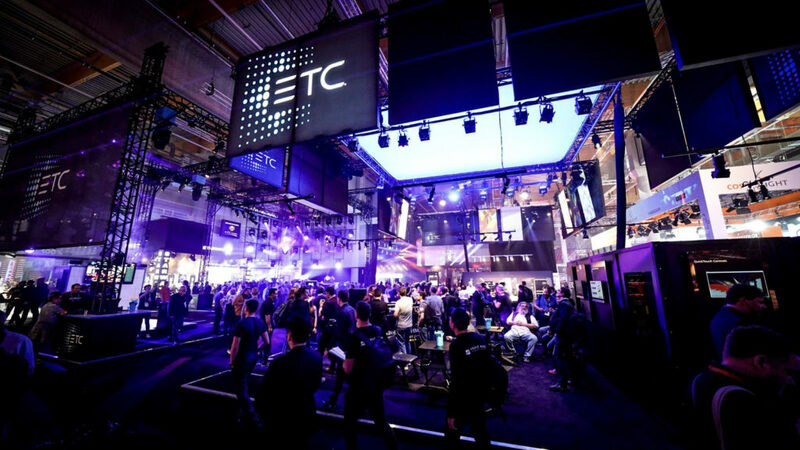 With ETC France, these internationally renowned consoles will have even better support throughout France.